Hi Everyone! 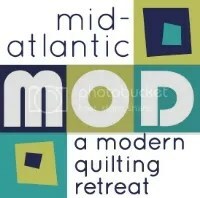 Monday June 9th will be the annual Garden State Quilters social, and they have generously invited NJMQG members to come for their super show and tell. Hospitality starts at 6:45 and the meeting will come to order at 7:15. The meeting is at Chatham United Methodist Church, 460 Main Street in Chatham. Bring something to show! Do we need to sign up for this?